The GridWise Alliance, a leading business forum for the development of a smart, clean, modern electric grid, just released its 3rd Annual Grid Modernization Index – a ranking of states’ progress towards a more sustainable energy system. The Index goes beyond tracking investments that modernize the electric system; it explores the policies these investments can support, such as increasing efficiency and reducing emissions. The report also delves into the valuable services customers can expect from smart technology investments in the grid. Grid modernization isn’t simply about replacing aging infrastructure – it’s about managing energy in new ways, namely through sensors and digital communication. Greater visibility and control as a result of these investments can create a dynamic electric system that is more efficient, better manages costs, improves customer service, and protects our limited resources. In addition to possibly giving your home state something to brag about, the results of this Index offer plenty of useful information on how states have modernized the grid and charted their own course toward making smarter energy choices. California, Illinois, and Texas rank first, second, and third in the new Index. They continue to lead the pack, as in previous years. California has long been recognized as a pioneer in driving efficient and clean investments in the electric system, but ambitious time-of-use rate designs – which reward people who shift some of their electricity use to times of the day when renewable energy is plentiful and electricity is cheaper – have contributed to California’s continued leadership. New requirements that demand response – a voluntary conservation tool that relies on people and technology, not power plants to manage peak energy demand – be considered as a potential tool in meeting future system needs also contributed to California’s top ranking this year. Environmental Defense Fund (EDF) has advocated for these and other sustainable policies in the state for some time. In Illinois, where EDF is also very active, utilities have agreed to report on environmental performance metrics, conducted studies showing voltage optimization is a great investment, and invested billions of dollars in smart meters that underpin smarter energy choices. Leading utility ComEd also recently embraced the Open Data Access Framework, an industry-recognized model framework that EDF helped create and made possible by Illinois’ investment in smart meters. Open Data Access is designed to help utilities unlock smart grid benefits by granting people easy access to energy data. 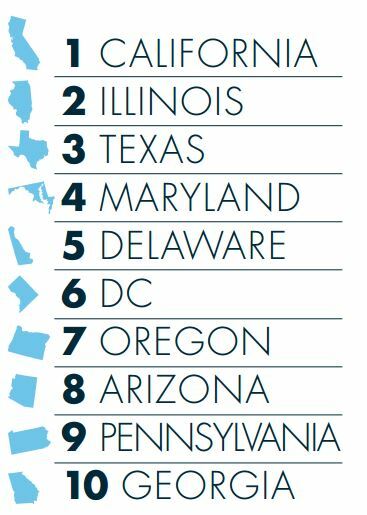 Texas, another one of EDF’s priority states, rounds out the top three leaders in this year’s Grid Modernization Index. The state’s policies in encouraging retail competition have facilitated the creation of products and services with a unique customer focus. Texas’s exploration into making the best use of distributed energy resources (like rooftop solar and energy storage) and providing value to the system further demonstrates its leadership in modernizing the electric grid. And, with three new grants from the Department of Energy’s SunShot Initiative, Texas may be well on its way to reclaim the number one spot in grid modernization. There is a significant gap between the front runners and laggards. However, the findings are not just about shining a light on the leaders. If your state is behind in modernizing its grid, it can consider the approach of other states and focus on realizing the benefits that matter most first. Demand response is a key ingredient for highly ranked states. This is not surprising, considering demand response is a proven clean energy tool for managing peak demand, lowering electricity bills, and reducing harmful pollution. A modern grid can facilitate a number of your state’s energy, economic, and environmental priorities. However, collaboration among all stakeholders is essential to ensure the transition to a more modern energy system is sustainable. What’s next for your state? EDF is a member of the GridWise Alliance and is very proud of our involvement in bringing an environmental perspective to the project team and contributing as a strategic advisor on this report. The Index shows that the policies EDF promotes have impact – especially in some of the higher-ranking states. We envision that utilities and regulators will continue to be guided by the smart, clean energy strategies captured in this document. Regardless of ranking, all states can use the Index to make more informed decisions in creating a modern and more sustainable energy system. This entry was posted in California, Demand Response, Electricity Pricing, Energy Efficiency, Grid Modernization, Illinois, Solar Energy, Texas, Voltage Optimization. Bookmark the permalink. Both comments and trackbacks are currently closed. 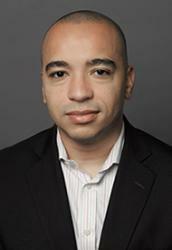 Ronny works with the various teams within the EDF Clean Energy Program to ensure that EDF has the expertise to provide credible and constructive analysis of grid infrastructure investments in order to maximize opportunities for clean energy adoption.